This month the 2nd part of a shifted squadron exchange emerged between the German Air Force JBG31 (1st Staffel) at Norvenich, flying the F-104G and the Italian Air Force 154 Gruppo from Ghedi AB, flying also the F104G. In October 1967 (not November 1968!) the Italians flew to Germany and in February 1968 the Germans flew to Italy. The Germans flew to Italy with the pilots Hptm Böttcher, Oblt Burkhard, Oblt Kahler and Oblt Berger. Support to Ghedi was performed by three Noratlas aircraft on the 12th February 1968: GB+111, GB+120 and GC+344. During the return (23rd February) it was performed by Noratlas aircraft GB+124 and 52+41. 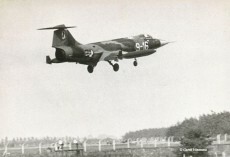 German Air Force JBG31 (1st Staffel) flying the F-104G, based at Norvenich, exchanged with the Danish Air Force 730 Eskadrille at Skrydstrup flying the F-100D Super Sabre. It was a two-way exchange. 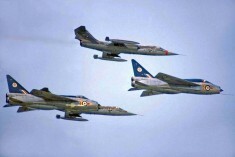 Four Super Sabres arrived at Norvenich and four Starfighters flew to Denmark. The social program in the weekend in Germany was a boat-trip along the Rhine and a trip to the city of Köln where also the "Dosselgasse" in Rüdesheim were visited. 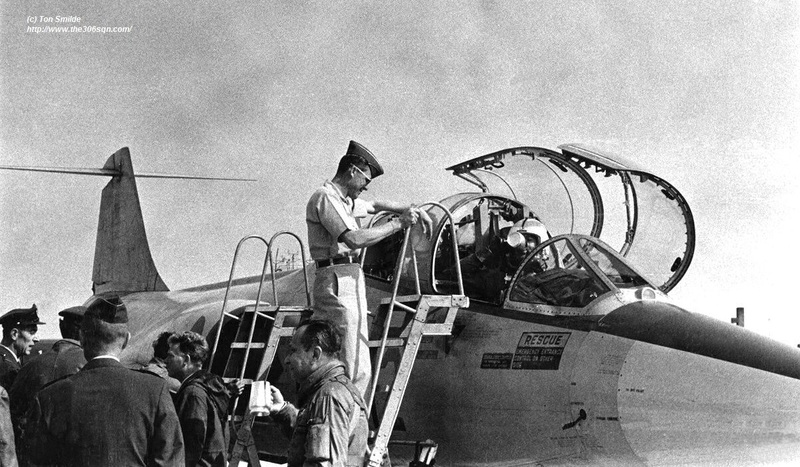 The technical personnel of both squadrons explained each other the specific maintenance characteristics of their aircraft. 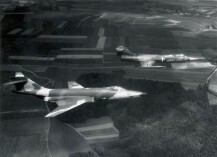 The Dutch Air Force 312 Squadron, based at Volkel exchanged with the Italian Air Force 132 Gruppo (part of 3 Aerobrigata) operating the RF-84F from Villafranca. Since the runway was under repair the aircraft flew from Ghedi. 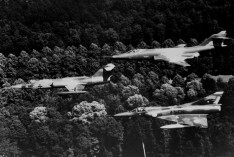 It was a 2-way exchange where the Italians came along with six RF-84F Thunderflash jets which only flew one (Friday) morning. 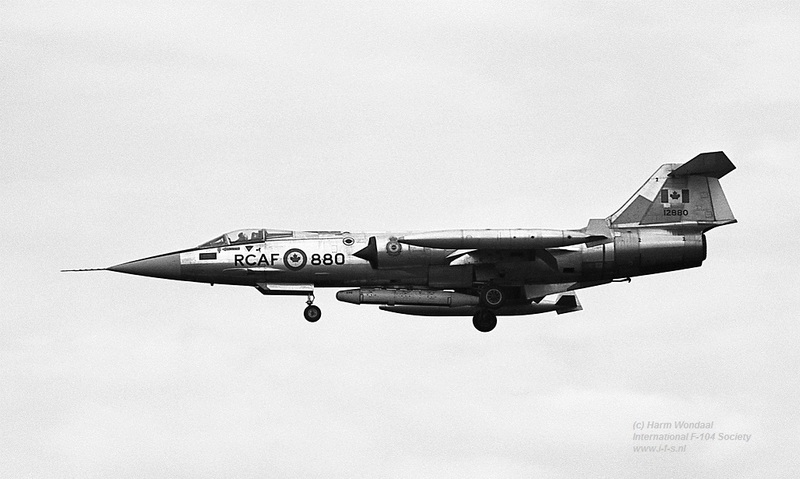 It is also strange that the Italians did not exchange with 306 Squadron at Twenthe since both were recce-squadrons. Pre-exchange took place on 20th of March when two Thunderflashes stayed the night at Volkel.. 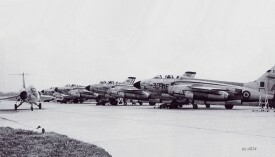 The Starfighters which flew to Italy (left Volkel on April 1st, and arrived back on April 9th) were F-104Gs D-8051, D-8062, D-8260, D-8266, D-8312 and D-8343. 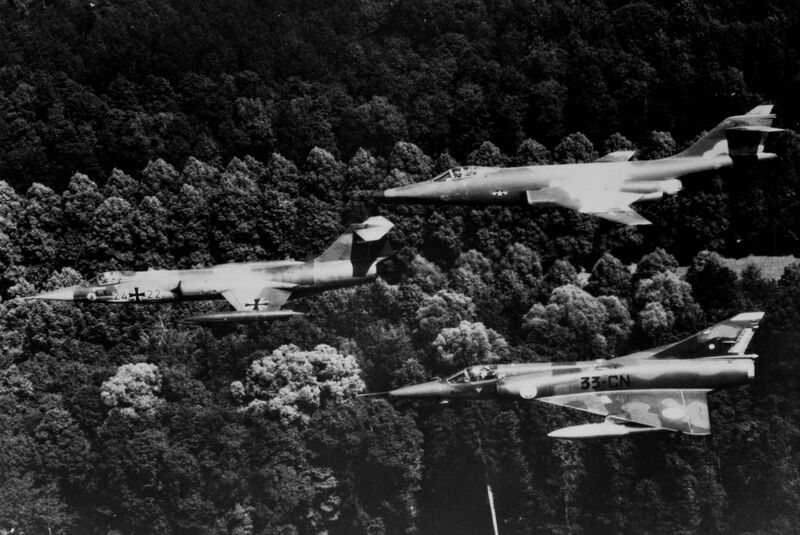 Beneath a photo taken by the father of Michael de Boer at Ghedi during the exchange showing all the Dutch F-104s lined up. One of the staffels of German Air Force JBG31, flying the F-104G at Norvenich, exchanged with the the FAF EC 1/3 stationed at Nancy and flying the Mirage IIIE. It was a one-way exchange where the Starfighters flew to Nancy with pilots Hptm Amtmann, Hptm Kühne, HFW Heltzel and OFW Rajek. The Italian Air Force 9 Gruppo (4 Stormo), based at Grosseto AB exchanged with the German Air Force JG71 based at Wittmundhafen, both operating the F-104G Starfighter. 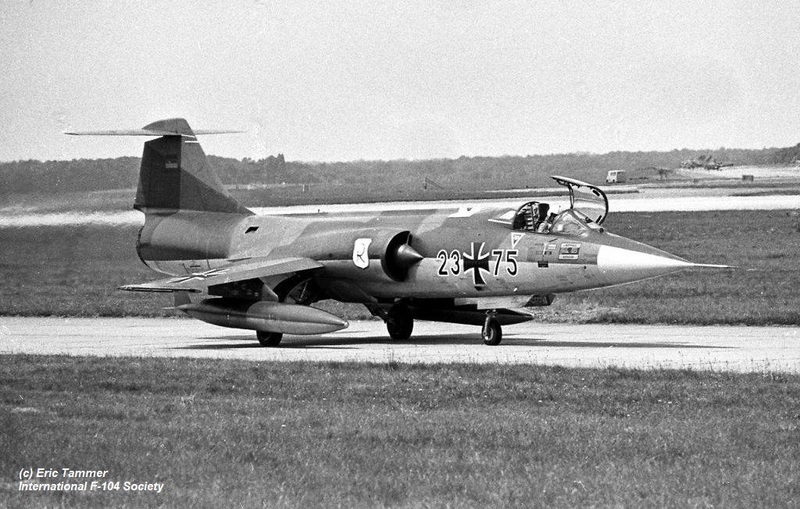 It is unknown if it was a 1 or 2 way exchange but at least four German Starfighters flew to Italy being 23+46, 24+35 (on loan from WS10? ), 25+60 and 25+83. 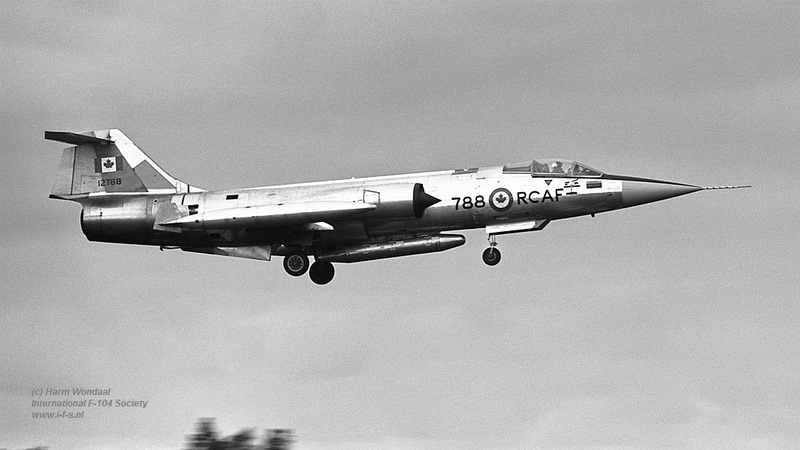 The Canadian 427 Squadron based at Zweibrucken, flying the CF-104, exchanged with the USAFE 55 TFS/20 TFW at Wethersfield, UK, flying the F-100D Super Sabre. It was a shifted 2 way exchange where the 427 Squadron deployed 6 aircraft and additional personnel to Wethersfield, England for a two week stay with the 55th TFS. Other than the "normal activities" that Squadron Exchanges participate in (parties / dinners,parties, etc) the 427 squadron managed to get sections into Vliehors range in Holland and Jerby and Holbeach ranges in England during that period. 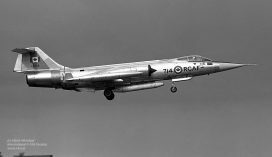 The F-100D's continued the 2nd part of this exchange later that year from August 27th till September 4th with approximately six aircraft. 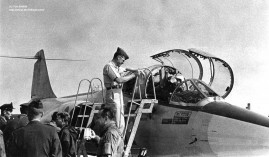 Norm McSween remembered that despite the rigorous entertainment program at Zweibrucken the "Fighting 55th" completed their operational requirements. 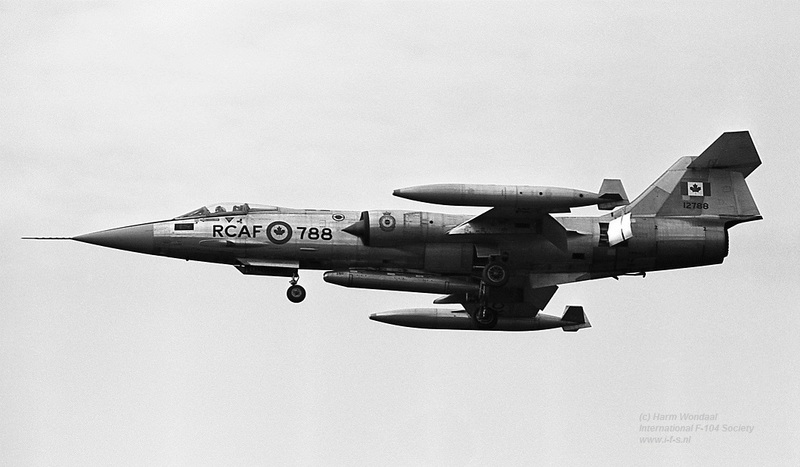 Four of these six aircraft were identified being 12759. 12771, 12866, and 12870. David Taylor was very happy to be able to photograph these 4 birds at Wethersfield during this event. Beneath some shots he took. 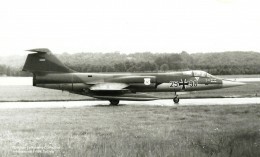 The Italian Air Force 21 Gruppo (53 Stormo), based at Cameri AB exchanged with the German Air Force JG74 (1st Staffel) based at Neuburg, both operating the F-104G Starfighter. It is unknown if it was a 1 or 2 way exchange. 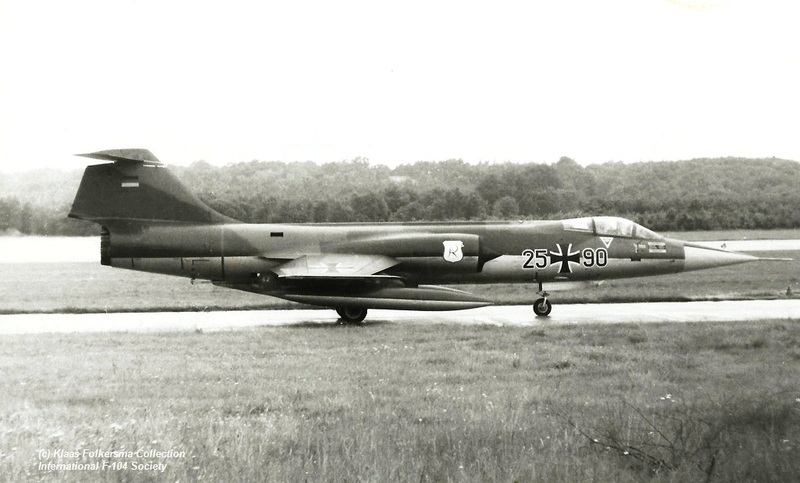 This month there was a squadron exchange between the Belgium Air Force 349 Squadron (1 Wing) and German Air Force JG74 based at Neuburg flying both the F-104G Starfighter interceptor versions. It was a one way exchange. 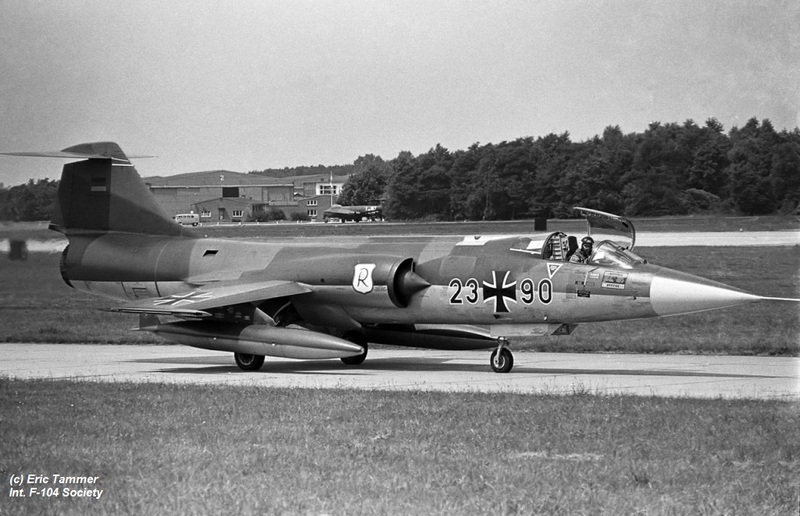 Only the Belgium Starfighters were present at Neuburg. 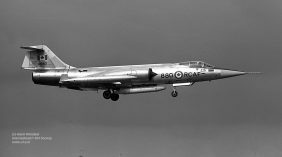 This month the Italian Air Force 9 Gruppo (4 Stormo), based at Grosseto, operating the F-104G Starfighter, exchanged with the Royal Air Force 29 Squadron based at Wattisham, flying the Lightning F.3. It was 2 way exchange. 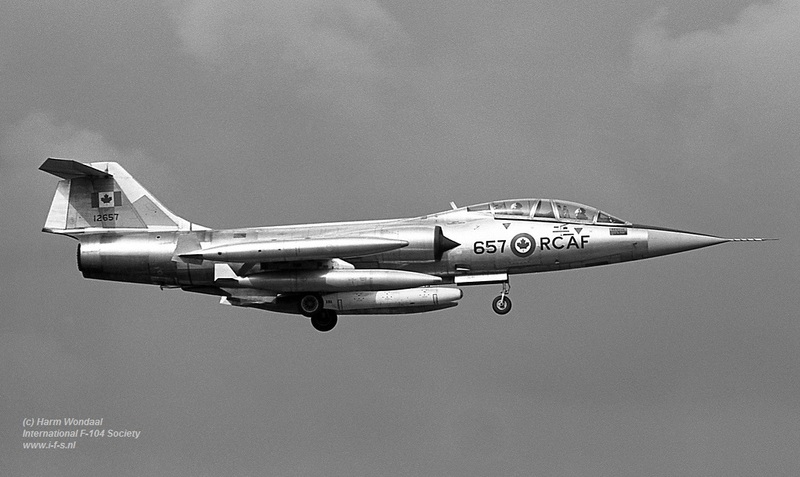 Starfighters seen at Wattisham (reported 31 July) were: MM6522/4-4, MM6648/4-7, MM6561/4-14 and MM6575/4-19. (Serials thanks to Paul Offen). 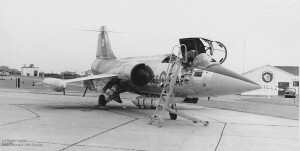 Aircraft MM6575 (white) with code 4-19, can be seen on the photo beneath. The German Air Force JG71 (1st Staffel) based at Wittmundhafen exchanged this month with the USAFE 32 FIS/86 AD based at Soesterberg flying the F-102A Delta Dagger. 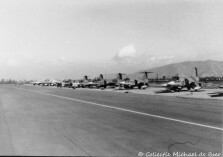 It was a 2 way exchange, both squadrons used 4 aircraft for the exchange where the Germans replaced aircraft in that week. 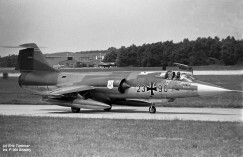 German Starfighters seen at Soesterberg were 23+39, 23+75, 23+90, 25+90, 26+00 and 26+01. The German started with 23+75, 23+90, 26+00 and 26+01. 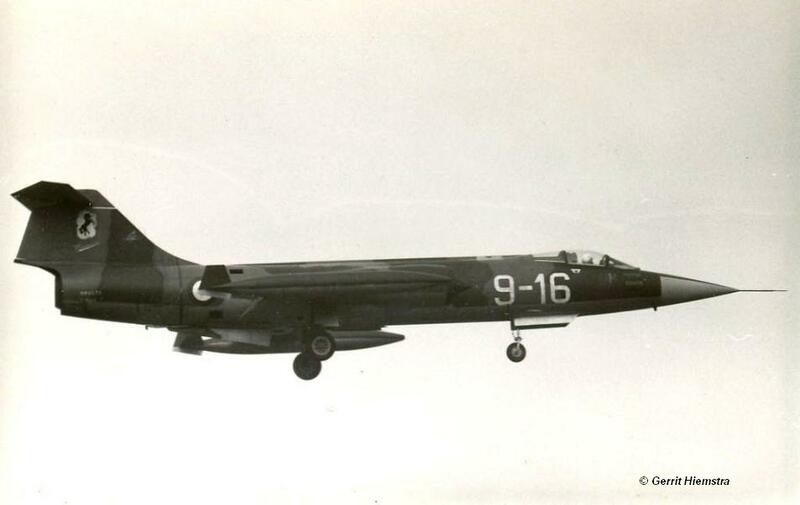 On the 19th, aircraft 26+00 was replaced by 25+90, and on the 24th of July the aircraft 25+90 was replaced by 23+39. Some believe the rotation already started the 16th but we have no confirmation yet.. Beneath aircraft 23+75 and 23+90 both photographed by Eric Tammer on July 17th. And aircraft 25+90 taken on a rainy day thanks to Klaas Folkersma. 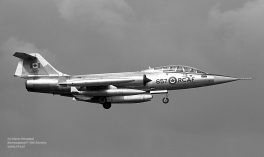 The German Air Force JG71 (2st Staffel) based at Wittmundhafen exchanged this month with the 11 Squadron (RAF) flying the Lightning F.6, based at Leuchars. It was a 2-two exchange. 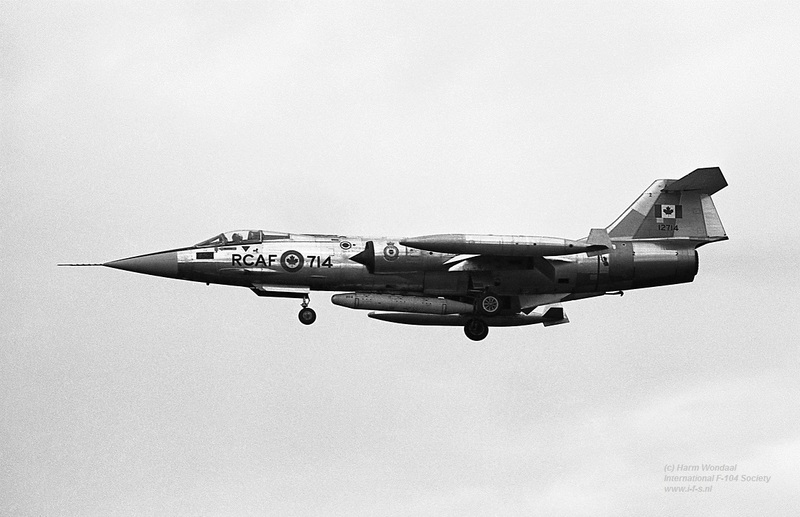 This period the Canadian 441 Squadron exchanged with the Danish Air Force 729 Eskadrille at Karup. Again it was a 2-way exchange. 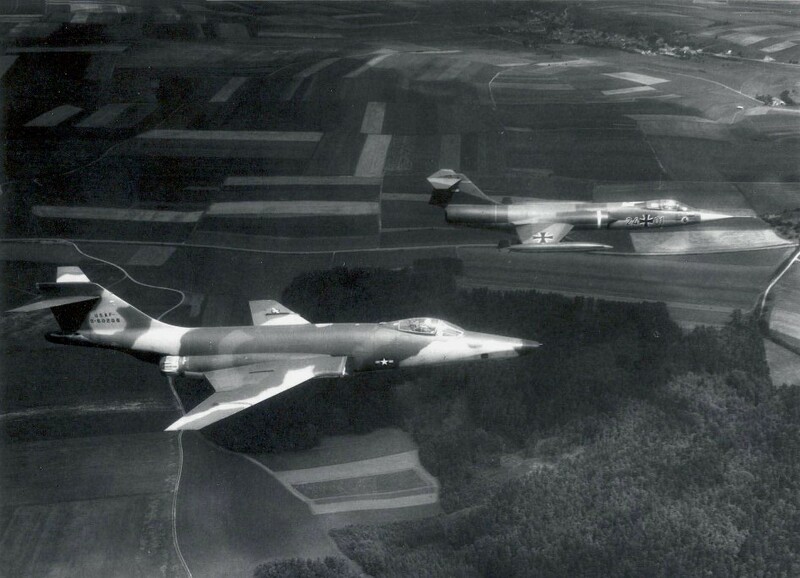 The Danish flew to Germany (Lahr AB) with four RF-84F Thunderflashes and 6 pilots participated. Also 21 more people came over for support. 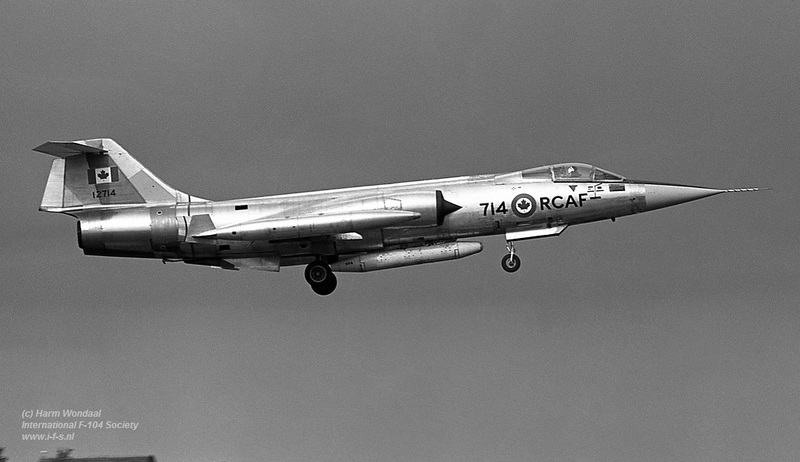 The Canadians flew to Denmark with six Starfighters. This month an exchange went on between the German RF-104Gs from AG52 at Leck and the USAFE RF-4C phantoms from 32 TRS/10 TRW based at Alconbury AB, UK. 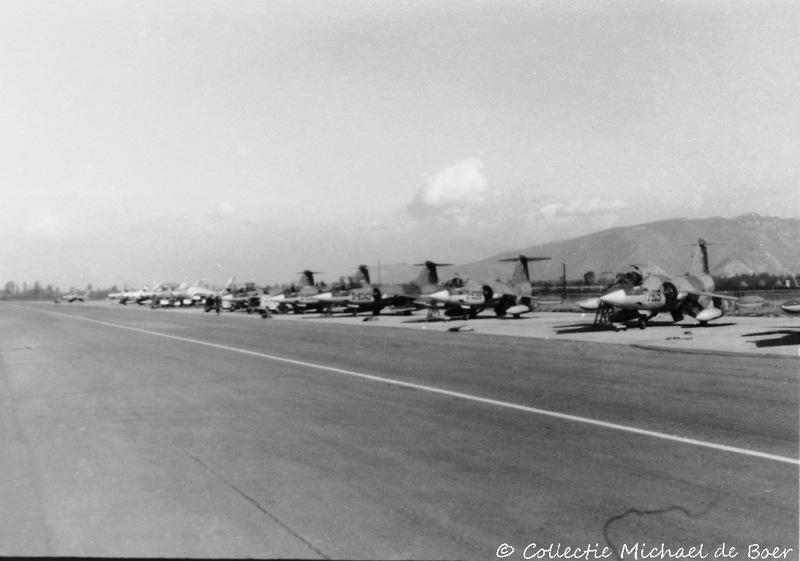 Four Starfighters flew to the UK and four Phantoms came to Leck AFB. 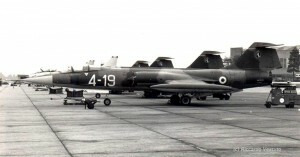 The Dutch RF-104G 306 Squadron at Twenthe AB, exchanged with USAFE 1 TRS/10 TRW, equipped with RF-4C, based at Alconbury. It was a two-way exchange. 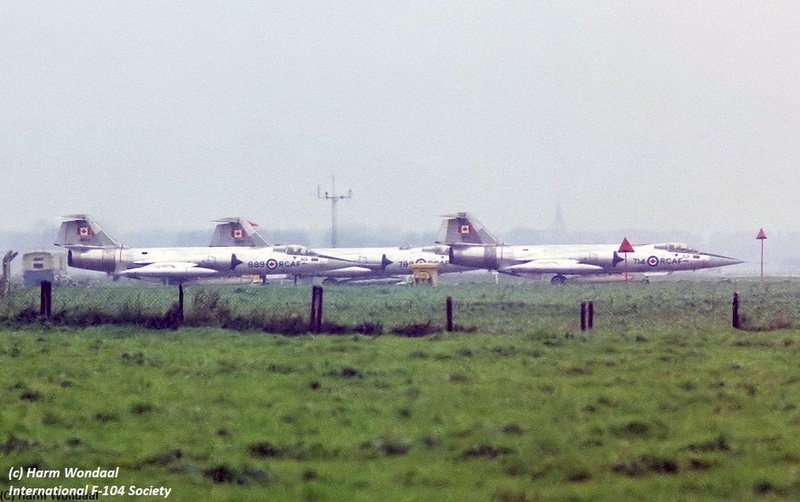 A total of six Dutch Starfighters were seen at Alconbury being TF-104G D-5811, D-5812 and F-104G D-8022, D-8047, D-8048, D-8049. Transport was flown by Fokker F-27M Troopship from 334 Squadron. 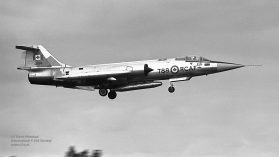 The Canadian 421 Squadron based at Baden-Sollingen, flying the CF-104 Starfighter, exchanged with the Norwegian Air Force 332 SKV based at Rygge flying the F-5A. It was a two-way exchange. Photo beneath thanks to Tom Svendsen showing two visiting CF-104s with two F-5s over the Rygge runway on August 28th, 1968. 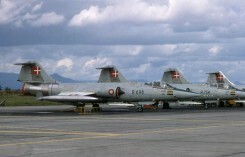 Norwegian Air Force 331 Skv at Bodo AB exchanged with the USAFE 53 TFS/36 TFW flying the F-4D Phantom, based at Bitburg. It was a 2-way exchange. The Phantoms just had returned from a deployment in the Libyan desert. A Norwegian crewchief wrote down that they flew to Spangdahlem and not Bitburg. Who can confirm? The Italian Air Force 154 Gruppo (6 Stormo), operating the F-104G at Ghedi AB exchanged this year also with the Royal Air Force 16 Squadron flying the Canberra B(I).8 at Laarbruch, Germany. It is unknown if it was a 1 or 2 way exchange but for sure the Canberras flew to Ghedi. 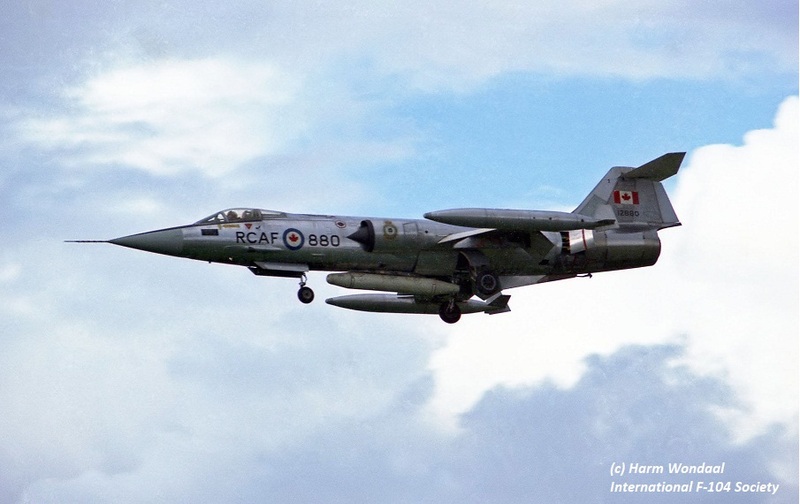 The Canadian Air Force 430 Squadron, flying the CF-104 Starfighter, exchanged this month with USAFE 92 TFS/81 TFW based at Bentwaters, flying the F-4C Phantom. It was a two-way shifted exchange. 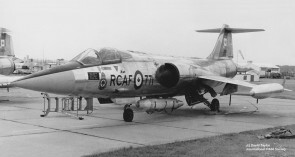 First 92 TFS flew to Zweibrucken, lateron that month 430 Squadron flew to the UK. 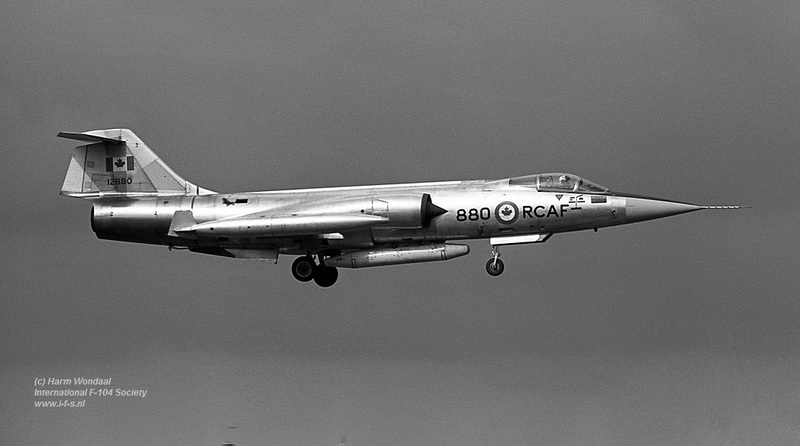 The Danish Air Force 726 Eskadrille, operating the F-104G from Aalborg AB, exchanged with the French Air Force Escadre de Chasse 13 from Colmar AB flying the Mirage IIIE. It was a two-way exchange. 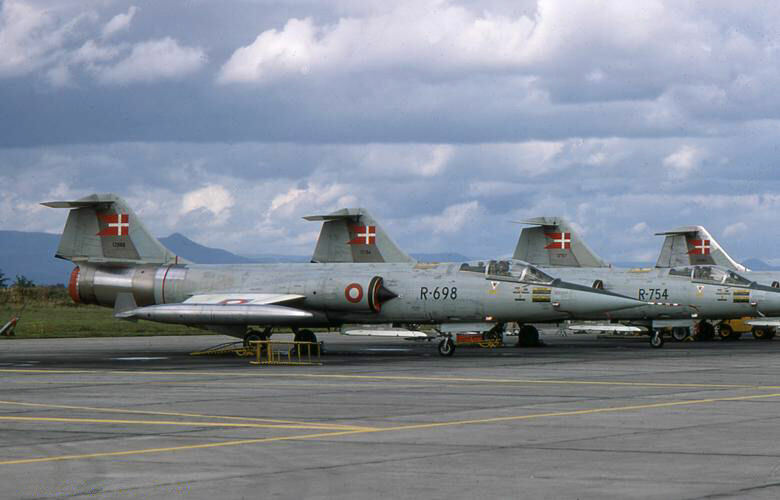 Four Danish Starfighters were seen in France being F-104Gs R-698, R-707 and R-754 (see photo beneath thanks to Alec Molton) and TF-104G RT-683. It is unknown if the French aircraft were from EC 1/13 or EC 2/13. 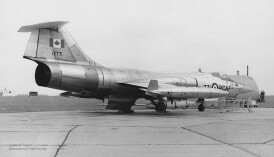 The Dutch Air Force 311 Squadron, operating the F-104G at Volkel AB, exchanged with USAFE 493 TFS/48 TFW, operating the F-100D at Lakenheath, UK. It was a two-way shifted exchange. 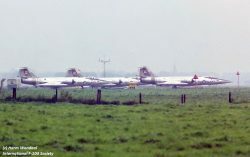 The Dutch Starfighters went to Lakenheath in September while the Americans had already been in Volkel from 15 till 20 July with 10 Super Sabres! 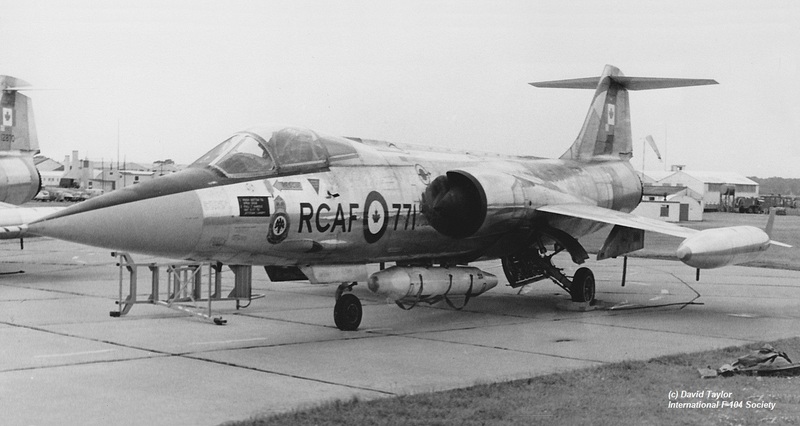 It is unknown how many Starfighters participated in the UK. The Italian Air Force 154 Gruppo (6 Stormo), operating the F-104G at Ghedi AB exchanged this year also with the German Air Force AG52 flying the RF-104G at Leck AB. It is unknown if it was a 1 or 2 way exchange. 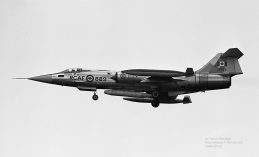 The Dutch Air Force 323 Squadron, based at Leeuwarden AB exchanged with the Italian Air Force 10 Gruppo (9 Stormo) based at Grazzanise, both flying the F-104G. It was a one-way exchange, only the Italians flew to Holland. Seen were: MM6551?/9-15, MM6556/9-22, MM6571/9-16 and MM6646/9-05. It is still unknown which Starfighter had code "9-15" but MM6551 is most likely. (It was not the often mentioned MM6552). On September 13th, C-119J MM518156 code 46-58 arrived at Leeuwarden to pick up personell. Photos beneath were taken by Gerrit Hiemstra. 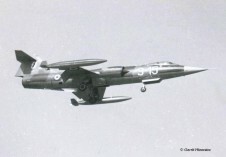 The French Air Force ECTT 2/30, based at Reims AB, flying the Vautour IIN aircraft, exchanged with the German Air Force JG74 (2nd Staffel) based at Neuburg flying the F-104G. It was a shifted 2 way exchange. First four Vautor aircraft came to Neuburg from 17 till 27 September, as can be seen on the photo beneath (thanks to JG74). Later in October four Starfighters flew to Reims were they flew operations together with ECTT 2/30, using also two Noratlas transport aircraft. This year there was a squadron exchange between the Belgium Air Force 23 Smaldeel (10 Wing), operating the F-104G from Kleine Brogel and US Air Force 78 TFS /81 TFW based at Woodbridge, flying the F-4D Phantom. It was a way shifted exchange. 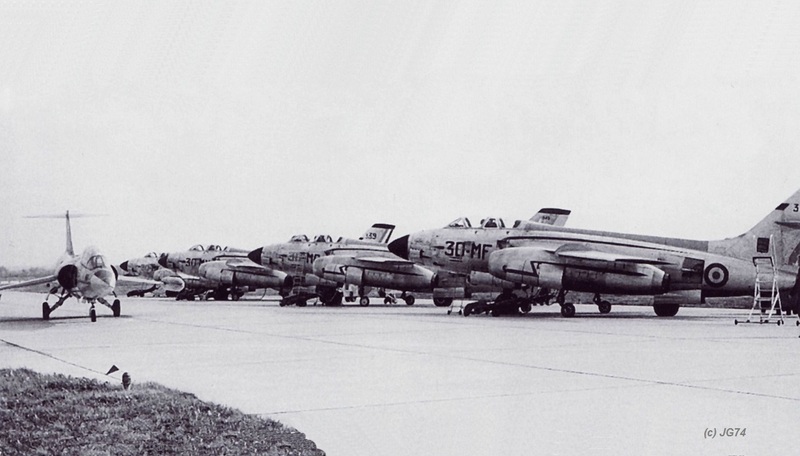 First the Phantoms visited Belgium from 12 till 19 September and a month later the Belgium Starfighters visited Bentwaters. 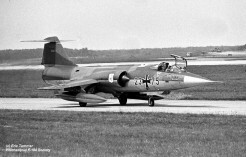 The German Air Force AG51 aircraft based at Bremgarten AB exchanged with two squadrons at the same time in 1968. 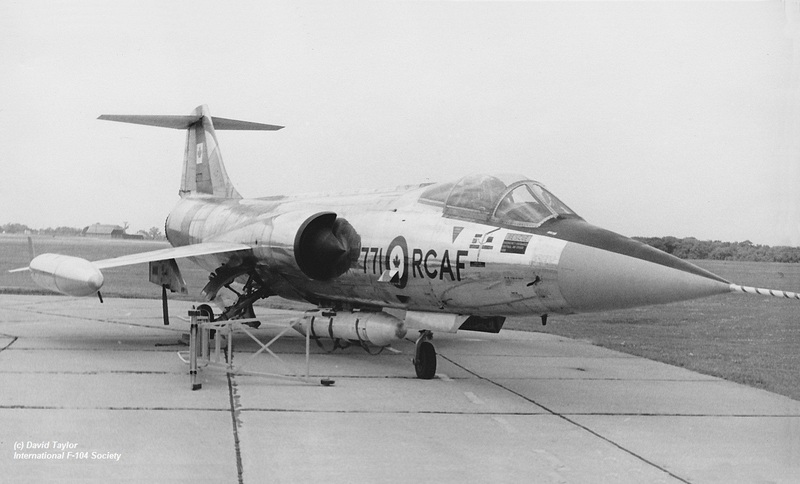 These were 17 TRS/66 TRW USAFE (Upper Heyford AB) flying the RF-101C and ER 1/33 flying the Mirage IIIR aircraft. It is unknown if it was a 1 or 2 way exchange for all the units. Photos beneath were very likely taken during this exchange although these still need to be confirmed especially the most right picture. 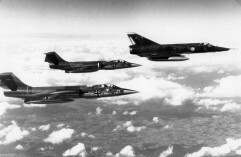 This year there was a squadron exchange between the German Air Force JBG32 based at Lechfeld, flying the F-104G and the Royal Air Force 92 Squadron flying the Lightning F.2 from Gutersloh, Germany. It is unknown if it was a 1 or a 2 way exchange. 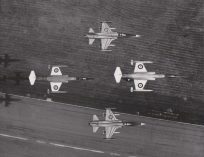 Nr 92 Squadron stated in their squadron logs: "As usual the exchange was good social value but this time the operational value was doubtful as they were a low level strike squadron and 92’s role at the time was almost purely high level interception". 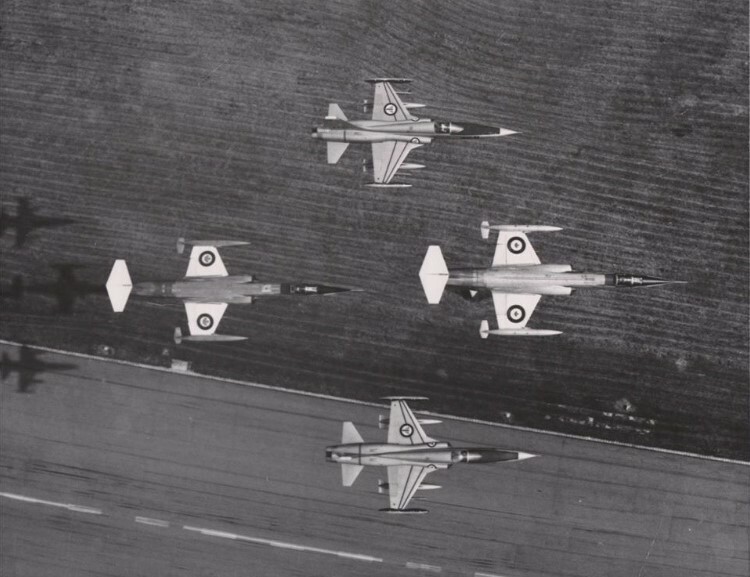 Beneath a photo found somewhere on the web showing Starfighters 22+75 and 25+29 together with two 92 Squadron Lightning jets during the exchange.